GALION — James R. and Marjorie E. Montgomery, of 336 Second Ave. in Galion, will celebrate their 60th wedding anniversary with family during a party from noon to 4 p.m. Saturday, April 28, at the Polk Township Building, 7680 Ohio 309 Galion. James Montgomery married the former Marjorie Johnston on April 26, 1958 at First Church of the Nazarene in Galion. The Rev. Paul Hayman officiated at the ceremony. 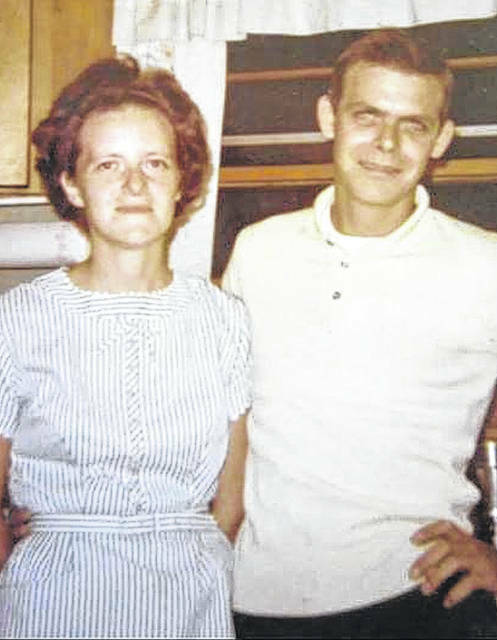 The Montgomerys are the parents of two sons and three daughters: Pamela (James) Simpson, of Fredericktown, Ohio; Melissa Montgomery, Warren, Michigan; Russel (Laurie) Montgomery, of Galion; Catherine Bash (Lonnie Buckner), of Marion, Ohio; and David (Grethe) Montgomery, of Vale, North Carolina. There are 15 grandchilding and 27 great grandchildren. James Montgomery is retired from Otterbacher Manufacturing. Marjorie is retired from Peco II.